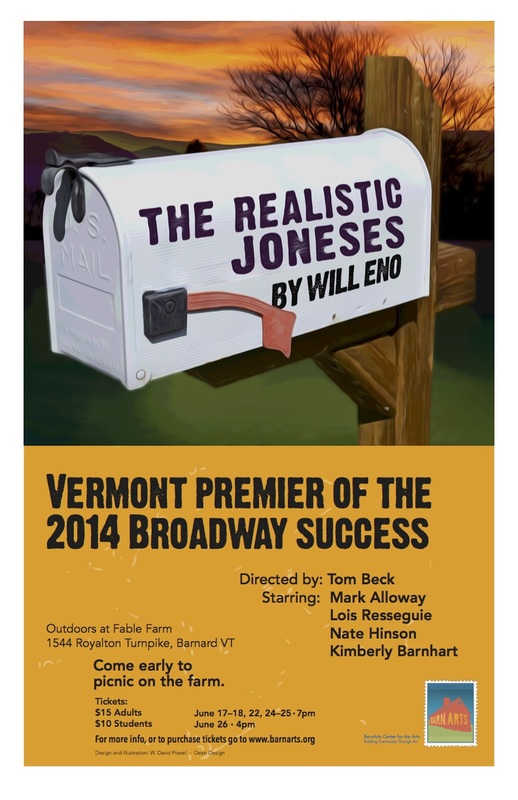 BarnArts production of The Realistic Jonses by Will Eno will be the first Vermont or Northern New England production! This play was first performed on Broadway in 2014 and features wonderful quirky real people experiencing personal challenges. All shows at 7pm, except June 26 at 4pm. Rain or Shine. Performances will be moved under a tent in the event of inclement weather.